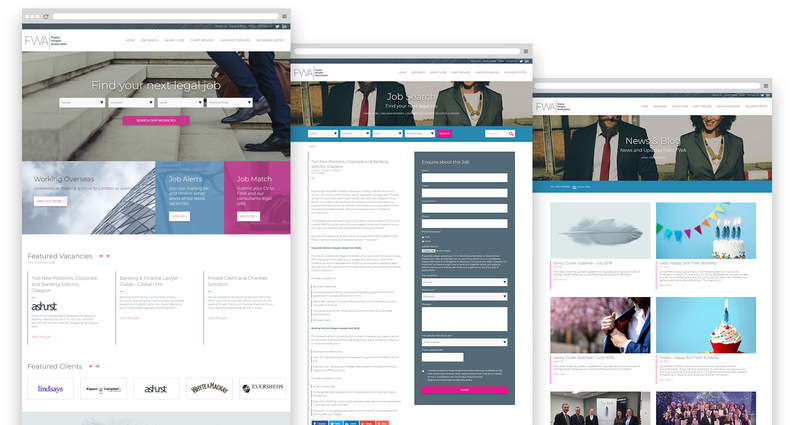 Bespoke WordPress website and logo design for legal recruitment specialists. Frasia Wright Associates are the only specialist legal recruitment consultancy based in Scotland. With their old website getting a bit long in the tooth, and no longer representing them well as a business, FWA required a complete design and development overhaul. We worked with them to create a new, contemporary logo. 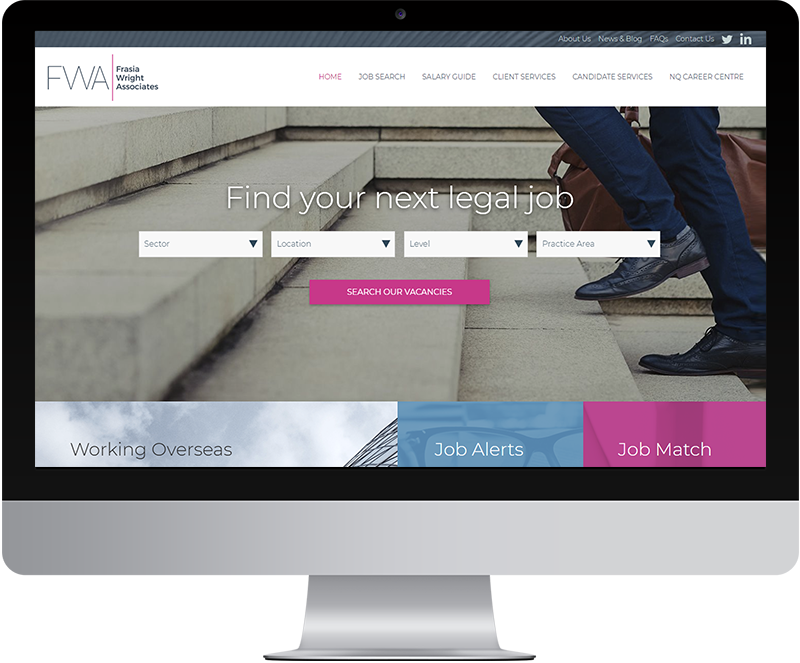 Following this we created a bespoke WordPress website, featuring a custom jobs section, making it quick and easy for FWA to manage their online recruitment database. The jobs section also sends out alerts to interested candidates when a new job is added. Frasia Wright Associates needed to bring their brand up-to-date. We worked with them to create a new, clean, minimal logo which better represents where the business is in 2018.